Sunrise Products is the most prominent Electric Heater Manufacturers In Delhi that you can make a contact for buying different types of industrial heaters. Their coveted performance and durable working life make it an ideal option to use in different industries. These are made of quality crude material and up-to-the-market technology and have all the rich features, which a device requires for serving desirable results. These are available in customized sizes and different configurations. These Electric Water Heaters are highly acknowledged in the market among customers to deliver, as expected results. The premium nature of the heaters gets customized according to the customer requirements, so, they’ll get the product they’ve paid us for. Their construction is robust, which keep them working even in rough and tough conditions. 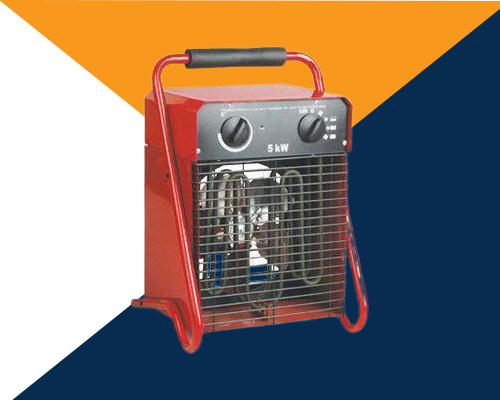 Being the top-tier Industrial Electric Heater Suppliers and Exporters, we offer Portable Electric Heaters; so, one can easily carry the device with them on different application sites. Want to buy it now? Give us a call to place your order right away.